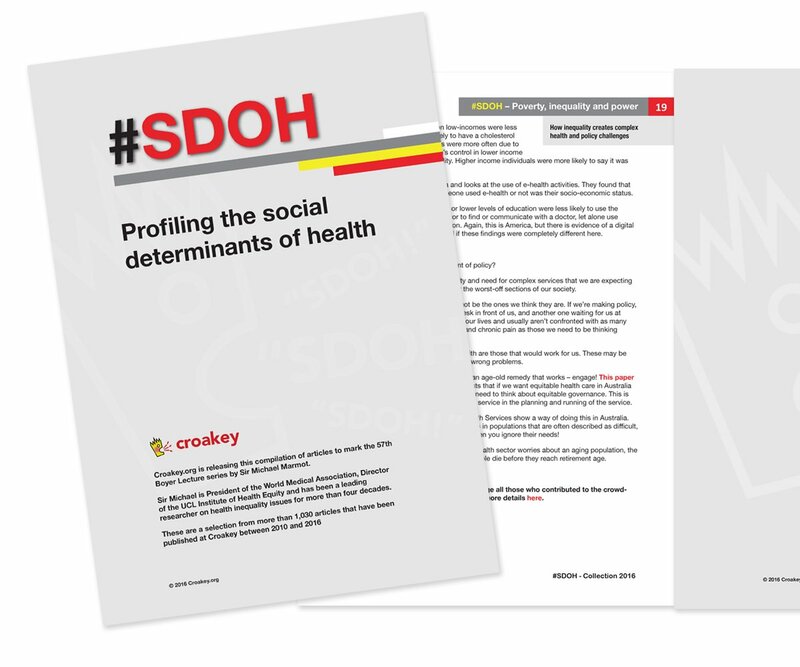 This rolling wrap of reaction to the election-eve Federal Budget compiles reaction to developments affecting health and healthcare, with a focus on the social determinants of health and health equity. 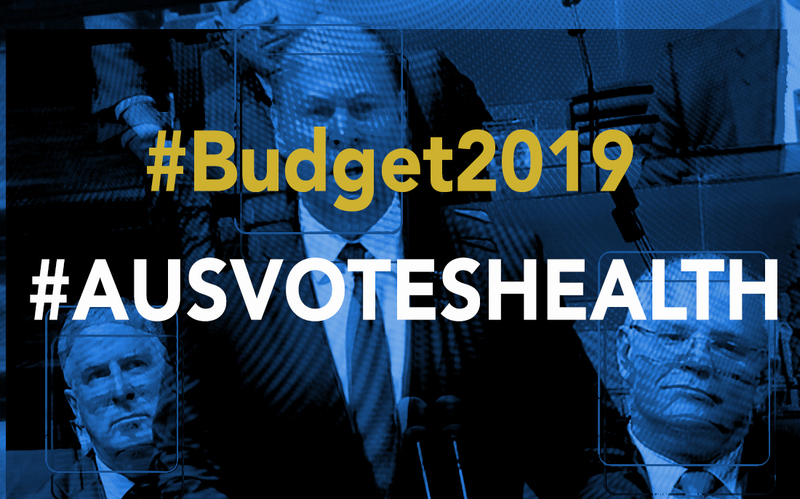 Read Treasurer Josh Frydenberg’s Budget speech here. The Health Budget Portfolio papers are here; the Department of Prime Minister and Cabinet papers are here; the Department of Social Services papers are here (including plans to expand the Cashless Debit Card); and a statement by Indigenous Affairs Minister Nigel Scullion is here. Medical and health groups have welcomed very targeted measures for primary care in the 2019-20 Federal Budget but there’s big disappointment across the health and social sectors over its failure to address structural reform, the social determinants of health, prevention and to take effective climate action. Noting this is the 25th Budget in a row to refuse to deliver a real increase in Newstart, the Australian Council of Social Service said the Budget is about cuts – “tax cuts for people who don’t need them, guaranteeing more cuts in future to essential services and our safety net for people who rely on them’’. Despite a projected $7.1 billion surplus, the effective freeze on foreign aid continues and there is no much-needed commitment on social and affordable housing, or for homelessness – nor action on negative gearing or other property investment benefits – and job seekers are excluded from the energy rebate. Disability, social service and health groups have welcomed the $500 million commitment for the Royal Commission into violence and abuse of people with a disability, though there is concern it will not be sufficient for the broad-reaching review that is needed, and there is also alarm about diversion of unspent NDIS funds. The Federal Government has got the tick from medical, health and hospital groups for a range of measures including access to cheaper medicines, bringing forward by a year the lifting of the freeze on GP rebates, the fast-tracking of a Rural Generalist Pathway for trainee doctors, and ongoing commitment to mental health, particularly on youth suicide. 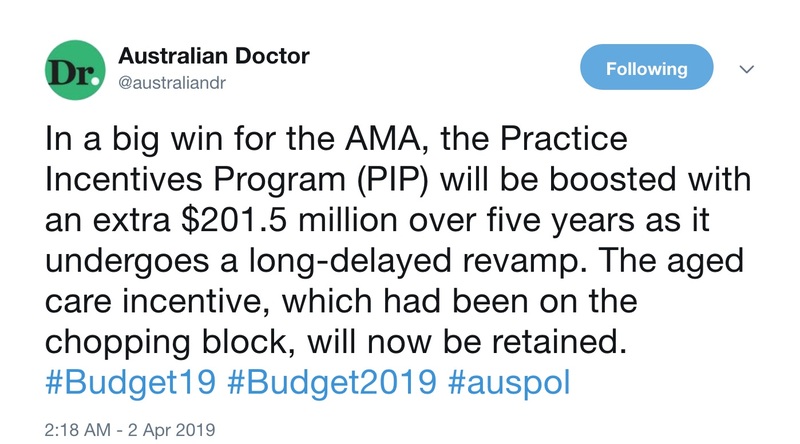 The Australian Medical Association is particularly happy, declaring the Budget has set up a “genuine election competition on health policy”. But there’s deep disappointment from the Australian Healthcare and Hospitals Association that there has been no shift on private health insurance subsidies or other major structural reform, and a lack of any concrete action on preventive health, which “has been allowed to slip down the health budget priority list again despite its proven benefits in preventing big health bills later”. The Public Health Association of Australia awarded the Budget “at best a D-minus” on prevention, saying that “two of our biggest killers were conspicuous by their absence in the Budget – obesity and alcohol”. 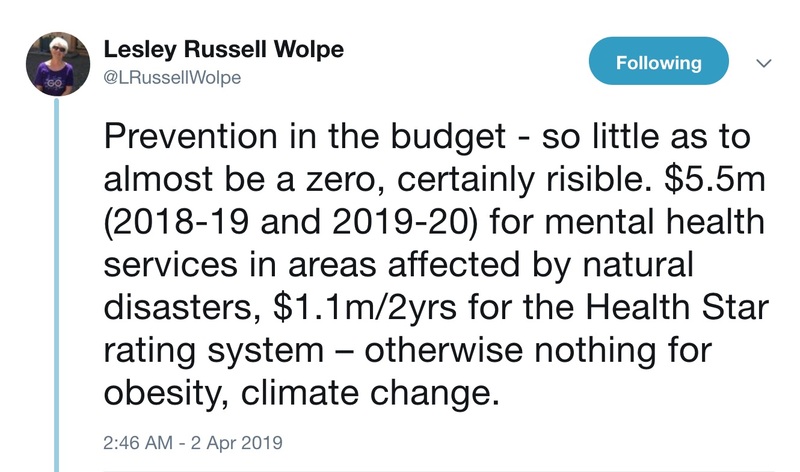 “Like inaction on climate change, the budget does little to prevent a future illness tsunami,” said PHAA CEO Terry Slevin. The PHAA has however welcomed investments in child dental benefits, “sorely needed” mental health and suicide prevention commitments, and Medical Research Future Fund (MRFF) guarantees ($260M over 10 years) for preventive and public health research plus another $160M in Indigenous health research over 11 years. The Coalition Government has refused to acknowledge Australia’s growing housing crisis in the Budget announcement tonight. Everybody’s Home, a national alliance of community, housing and homelessness organisations, called on the Treasurer for a fairer housing budget in a campaign leading up to today’s budget announcement. “We called for urgent relief for the hundreds of thousands of Australians who are homeless, and more than 800,000 households going without basics to pay the rent,” Professor David Adamson, Everybody’s Home campaign spokesperson said. “Last year, the Coalition had a chance to make a real move towards ending our housing crisis after shocking Census data revealed that homelessness in Australia had increased by 14% nationally and by 22% for people between 19 and 24. Unsurprisingly, they made no such move. “For those seeking to rent a home on low income there are over 200,000 people waiting for social housing with a wait time often exceeding 10 years. “So, while the Coalition announced a forecasted surplus of $7.1billion tonight, it means little to those 116,000 people experiencing homelessness or those 800,000 experiencing rental stress. “The Federal Government continues to prop up the property sector with $11.8 billion in tax breaks but there’s nothing for ordinary Australians and renters who just want a home. “It’s appalling that the Government knows that there will be 116,000 people experiencing homeless tonight and yet they have still chosen to favour property investors by continuing negative gearing and capital gains tax concessions. “More than 800,000 Australian households have had to go without the essentials like food, just so that they can pay the rent. It’s not fair but it’s clear that fairness is not a priority for our current Government,” said Professor Adamson. Wind back the negative gearing and capital gains tax concessions to investors that cost billions in lost revenue. Use these savings to kick start investment in the 500,000 social and affordable rental homes desperately needed by Australians on low and middle incomes. Increase Commonwealth Rent Assistance by $20 a week to reflect the fact that rents have skyrocketed across the country. “These were all practical, do-able solutions that would help make housing fairer and give every Australian the best chance to have a home,” said Professor Adamson. Dr Bartone said there are obvious gaps in mental health, prevention, Indigenous health, pathology, and public hospital funding to improve allhospitals. That’s the level of real change last night’s federal budget delivered for the tens of thousands of Victorians on Newstart. There were tax cuts for some and one-off pre-election cash payments thrown in for good measure. 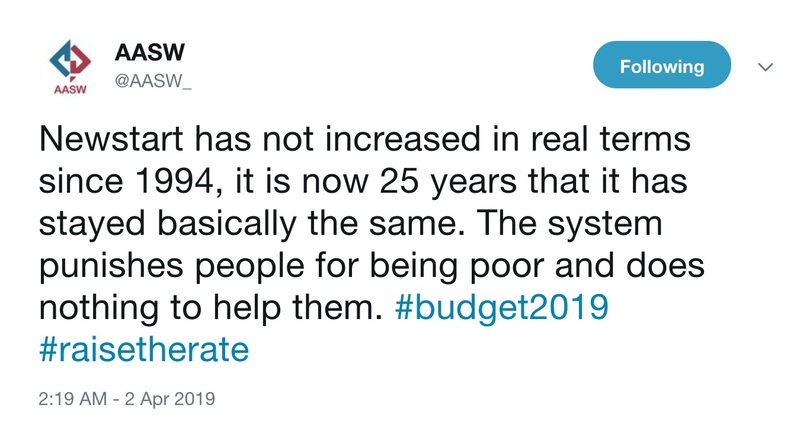 But if you are among Australia’s most disadvantaged, struggling to find work and earn a decent wage, then this budget had nothing significant to help you. What we need to do is increase Newstart to give people dignity and the support they need to build a better life. This issue will now be front and center in the looming federal election campaign, and VCOSS will be in this fight. We’ll be standing alongside our members, our national colleagues at ACOSS, economists and union leaders between now and polling day with a simple message for all those seeking office: it’s well past time to raise the rate. “We’ve had a big and much-needed focus on medical services and we welcome that but comprehensive health care needs paramedics, pharmacists, nurses and a whole range of other health professionals too. There was nothing in the budget to address this critical workforce shortage or to get them where they are so badly needed,” Mr Diamond said. Boosts for mental health including $15m for Indigenous suicide prevention, $114.5m for Adult Mental Health Centres, $263m for additional Headspace network sites and an $11.5m National Mental Health Workplace Initiative ($11.5m) sounded good but there was no indication these funds would be spent in the bush. Some good news items for rural areas include $9.6m for alcohol and other drug treatment and support services, an expansion of the rural health outreach fund to increase access to pain management specialist services and train providers ($4.3m); a new Ambulatory Care Centre in Alice Springs ($25m); and other local service improvements including a new CT scanner for Bowen Hospital, an Early Psychosis Youth Centre in Darwin and new radiology, pediatric and chemotherapy services on the Bass Coast. “We welcome an additional $160m for Indigenous medical research. It’s long overdue and we support it being targeted at rheumatic heart disease, and blindness and deafness in Aboriginal and Torres Strait Islander children and youth,” Mr Diamond said. Last week’s National Rural Health Conference in Hobart called for governments to invest at least the same in addressing the allied and other health worker shortage as has been expended over many years in medicine. The RDAA has welcomed further details from the Federal Government on the implementation of the National Rural Generalist Pathway, following last week’s pre-Budget announcement of $62.2 million over four years to fast track the Pathway’s implementation. RDAA has been a key driver over the past decade for the Pathway, which will deliver more of the next generation of doctors to rural and remote Australia with the skills to meet the needs of their communities. “We are pleased that the additional details announced in the Budget are largely in line with key elements of the Pathway’s initial funding for which RDAA advocated strongly,” RDAA President, Dr Adam Coltzau, said. Funding to support Australia’s two general practice colleges in obtaining recognition by the Australian Medical Council of Rural Generalist Medicine as a sub-specialty within general practice. An expansion of the Junior Doctor Innovation Fund to provide additional rotations of medical interns and post-graduate Year 2 (PGY2) doctors into rural general practices and small rural hospitals. The establishment of support and co-ordination teams to recruit, co-ordinate and support Rural Generalist training. “The initial $62.2 million in funding for the National Rural Generalist Pathway is a significant win for RDAA, rural doctors and rural communities right around Australia” Dr Coltzau said. “We again thank the Coalition for getting behind this important initiative, and the Australian Labor Party for committing to honour this funding should Labor be elected to government. “This ensures that regardless of the outcome of the forthcoming election, this is one element of the Budget that we know will be delivered — and that is great news for rural and remote Australia. “We also thank the National Rural Health Commissioner, Professor Paul Worley, and medical organisations that have worked with RDAA in making the Pathway a reality – including the Australian College of Rural and Remote Medicine, the Royal Australian College of General Practitioners, and the Australian Medical Association. “RDAA has worked extremely hard over many years to establish the Pathway. “We first advocated for the establishment of the National Rural Health Commissioner to drive the development of the Pathway. We then worked hard as a member of the Commissioner’s National Rural Generalist Pathway Taskforce and provided the lead on its Support, Incentives and Remuneration sub-committee. “In addition to that work, RDAA developed and delivered a business case to the Federal Government and Department of Health on how best to implement the Pathway on a national scale. “We are pleased to see that the core elements of our proposal have been included in the Pathway’s initial funding. “The Pathway is a key part of the solution in addressing poor access to healthcare in rural and remote Australia. But it is not the only solution. “The investment committed in the Budget provides a strong foundation, but there is more work and funding required to fully implement the Pathway, and there is more work to be done to ensure people living in rural and remote Australia have access to healthcare closer to home. Australia’s largest humanitarian organisation World Vision has criticised the Federal Budget’s approach to aid, saying the government has shunned its responsibility to the world’s most vulnerable children. “This is not a Pacific step-up; it is a Pacific shuffle,” said Ms Rogers. Ms Rogers is concerned funding for grants committed to the Government’s Australian Infrastructure Financing Facility for the Pacific operational from July 1, could be taken from aid supporting vulnerable communities in countries in South East Asia. “Using existing aid funds for the new infrastructure investment bank would be robbing Peter to pay Paul. It would mean that life-saving development assistance to children and families in need in places like South East Asia could be diverted to fund Pacific infrastructure projects. The truth is that the Government can afford to do both. Any infrastructure projects funded by the new loan facility should reduce poverty, and be climate resilient, gender sensitive and compatible with other community development projects for the most impact, Ms Rogers said. She added it was “extremely disappointing” that the government was still failing in this year’s budget to meet the commitment it made in the 2017 Foreign Policy White Paper to increase humanitarian assistance to $500m each year to address crises and conflicts. The $500m figure will not be met until next year’s budget, almost two years after it was first announced. “Australia’s humanitarian aid makes a critical contribution to alleviating suffering around the world and needs to be scaled up now,” she said. In a glimmer of good news, the government will end its freeze on indexation of the aid budget and tie it to CPI from 2022-23. “News that indexation will be reinstated in four years’ time is welcome, but long overdue,” Ms Rogers said. 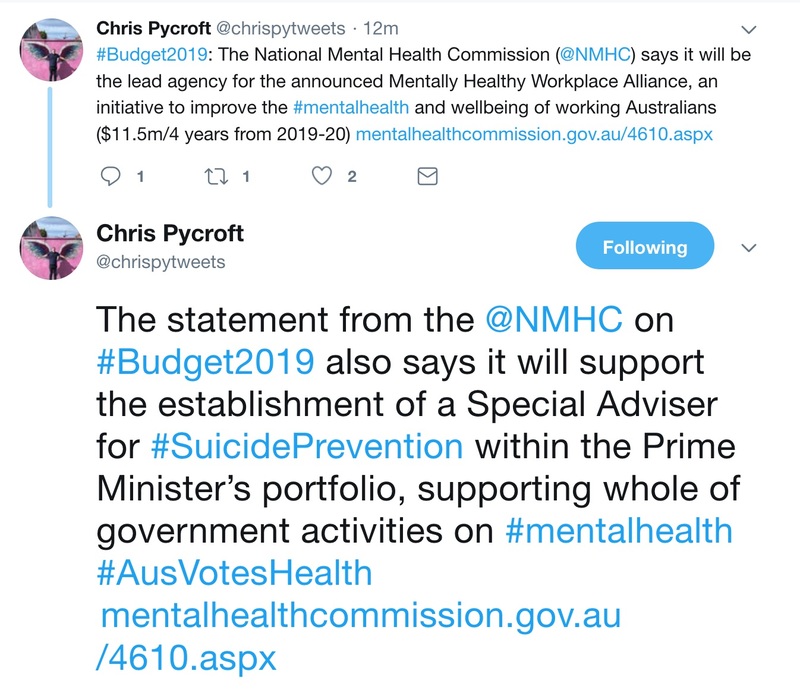 The NMHC is determined that tonight’s Federal Budget announcements will help fill the “real gaps” which have been identified in Australia’s approach to mental health prevention and intervention. NMHC Chair, Lucy Brogden, said that suicide rates were still on the increase and suicide is now the leading cause of death among 15 to 34-year-olds. “Just as tragic is the fact that Indigenous Australians are taking their own life at twice the rate of the non-Indigenous Australian population,” she said. Since 2012, the Commission has been working with the health and suicide prevention sectors, with lived experience, clinicians, academics and service providers to help build a system which supports all Australians across their lifespan. 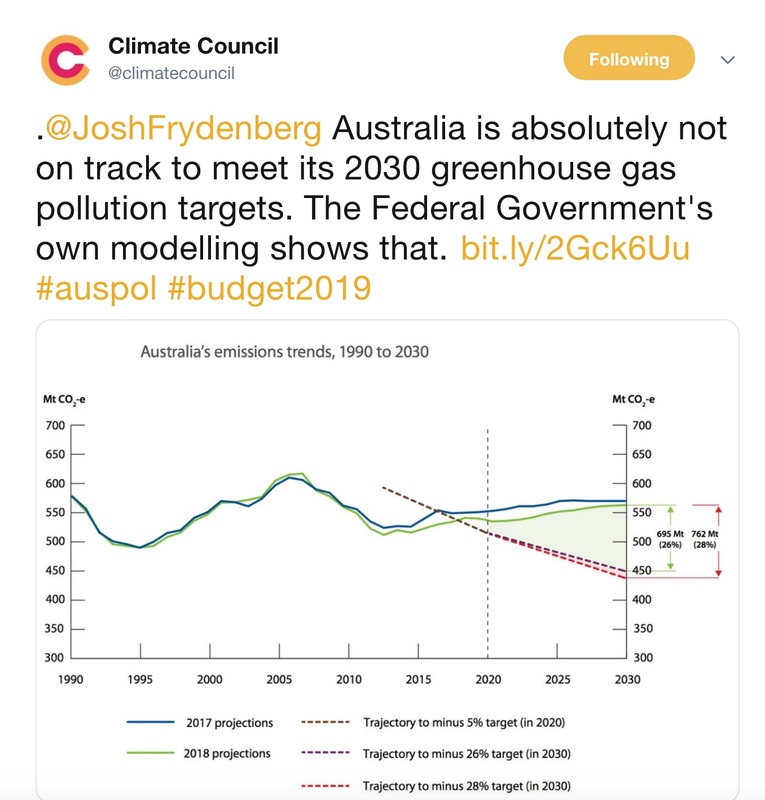 “The Commission seeks ongoing consultation, to make sure that the impacts of programs and services are measured and that they are delivered to the people and places at most need,” Lucy Brogden added. Some of the key take-outs from the 2018-19 Budget. A real-time account of suicide underpins a renewed unified national focus. An Australian Government-led national mental health workplace initiative will be priceless for the 12.6 million working Australians. The Minister has also announced a revitalised plan for long-awaited dedicated support for mothers throughout their maternity journey and lastly, and the Government has invested in a trial of adult walk-in mental health centres in eight areas across the community. As the lead agency in Australia’s largest collective commitment to mental health and wellbeing in our workplaces, the Commission will coordinate a four-year program for the Mentally Healthy Workplace Alliance with funds from this year’s Federal Budget. The Commission looks forward to assisting the Government as it establishes a Special Adviser for Suicide Prevention within the Prime Minister’s portfolio. This position is expected to coordinate activities across the whole-of-government and assist in the design of essential services. Lucy Brogden said these are all valuable initiatives but like all policies would require review and assessment. “Access to quality mental health services and programs, regardless of your age, postcode or social and financial situation, is the foundation of our health system. Our mental health system needs to address barriers to access, and ensure that affordability are not barriers to wellness,” she added. “We still have gaps in our current system, and inconsistencies in the delivery of connected support at all levels of need. The Commission is determined that these gaps and identified and rectified. We will continue to work closely with governments, private and community health providers, the mental health sector, carers and consumers, to ensure that everyone, regardless of where or when their need occurs, regardless in what setting they find themselves, has access to the support and care they need. “This is a good start to build upon the great work and commitment that already exists in the mental health sector, and to build strong networks and resources for our workforce to address the critical needs for everyone who experience mental ill health in our workplaces. “We are also acutely aware of the need to build up our mental health workforce so that they can deliver the services as and when they are needed. We need more people electing to study and work as mental health experts. 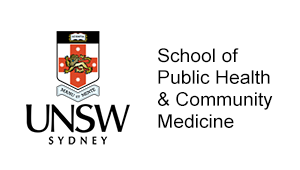 This is a substantial achievement for Australians for Mental Health and reflects the importance of grassroots movements in Australian advocacy for health care. 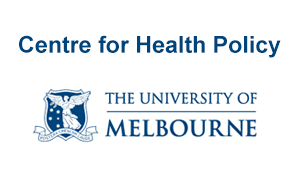 AFMH looks forward to working with the Australian Government to carefully co-design this important pilot program before it is rolled out in 2020-21. As outlined in the budget, these centres will provide walk-in, coordinated care and advice for anyone with concerns, and will address what is seen by many as a missing gap in the health system. The centres will be rolled out in eight yet-to-be-determined locations nationally. If implemented correctly this pilot program may serve as a model for a future larger investment of public funds in critical mental health services. The funding commitment can be found at: – Budget Paper No. 1, Statement 1, Page 1-21; – Budget Paper No. 2, Part 2, Page 104. The 2019 federal Budget does too little to prevent Australia’s major illnesses, according to Public Health Association of Australia CEO Terry Slevin. “Australia is one of the lowest investors in illness prevention of any OECD nation at less than 2% of our national health spending,” Mr Slevin said. A tobacco control campaign at $20M over 4 years is a starting point, but smoking remains one of our biggest killers. We need to do much more to kick start serious tobacco control efforts. “But the long-term wellbeing of the community has not figured sufficiently in this budget,” said Mr Slevin. 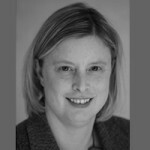 Commonwealth investment in healthcare is welcome—but a cash splash without long-term vision ensures that entrenched problems stay entrenched’, says Australian Healthcare and Hospitals Association (AHHA) Chief Executive Alison Verhoeven. ‘We note the Government has committed funds to a Royal Commission into violence and abuse of people with a disability—however this will not be sufficient for the broad-reaching review that is needed to ensure safe, high quality services for people with disability. We welcome funding for more home care packages, but this doesn’t go far enough to address the current long waiting lists in aged care. ‘Another measure that does not go far enough is the re-announcement of $448 million over 4 years for payments to GP practices that ‘enrol’ elderly patients with chronic conditions. This expansion of the Health Care Homes trial provides a funding mechanism for team-based care, which should be made more broadly available. ‘AHHA and Australian health leaders have mapped out how to transform our healthcare system into a fit-for-purpose 21stcentury system. Healthy people, healthy systems (www.ahha.asn.au/Blueprint) is a comprehensive blueprint with a range of short, medium and long term recommendations on how to progressively reorientate our healthcare system to focus on patient outcomes and value rather than throughput and vested interests. While the budget figures are not clear on the current underspend on the NDIS, it does appears it now sits around $1.6 billion – contributing NDIS funds to be spend on the NDIS – not bolstering the budget bottom line to the overall budget surplus of $7.1 billion. 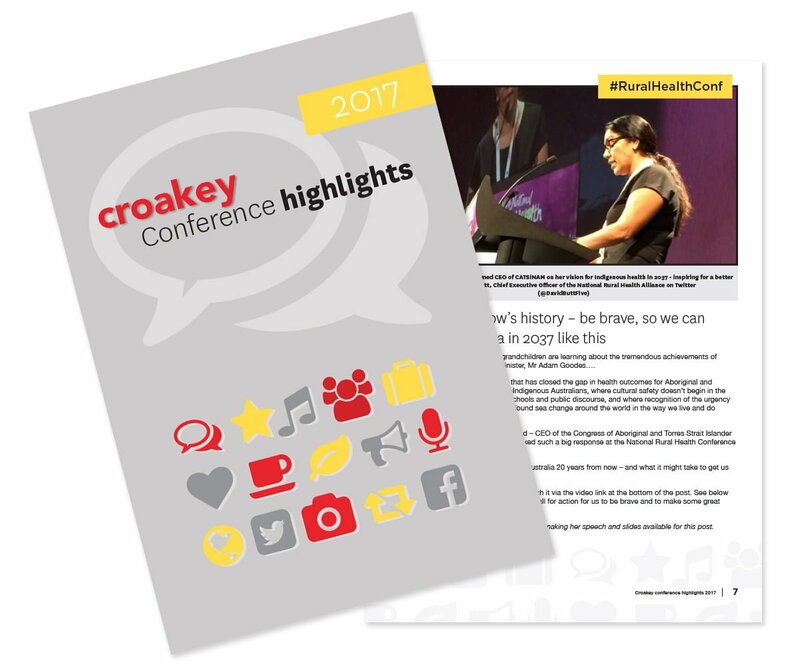 “We have been holding forums across Australia and talking to thousands of NDIS participants, their families and carers. We know this $1.6 billion is urgently needed to fix the scheme and get it working the way it should so people aren’t left waiting for two years to get a wheelchair. National Disability Services (NDS) has called for more transparency around the level of underspending in the delivery of the National Disability Insurance Scheme. NDS Acting CEO, David Moody said “It’s disappointing the Government hasn’t been more transparent about the level of underspending for the NDIS this year. We are unable to confirm the exact amount. “The NDIS is a transformative social reform won through the united efforts of people with disability, their families and carers and providers across Australia.” Mr Moody said. About $379 million has been allocated to the conduct of the Royal Commission. “NDS supports the remaining $149 million to assist people with disability to participate in the Commission,” he said. Older Australians will be able to enter an agreement with their GP to enable more personalised and coordinated care under a significant change announced in the Budget. Under the new $448 million primary care scheme for patients over 70, general practices will receive additional payment for doctors and other clinicians to provide consultations, referrals, test results and scripts without having a face-to-face consultation with patients. “This is a welcome development in bringing Medicare into the 21st Century by providing services and advice by doctors to patients without a face-to-face consultation as currently required under Medicare rules,” the CEO of the Consumers Health Forum, Leanne Wells, said. “For many older people with chronic illness, getting to the doctor for routine checks and the like is a major challenge. More than half of Australians over 70 years have two or more chronic conditions. “Older patients will also benefit from better follow-up and self-management support under these measures. 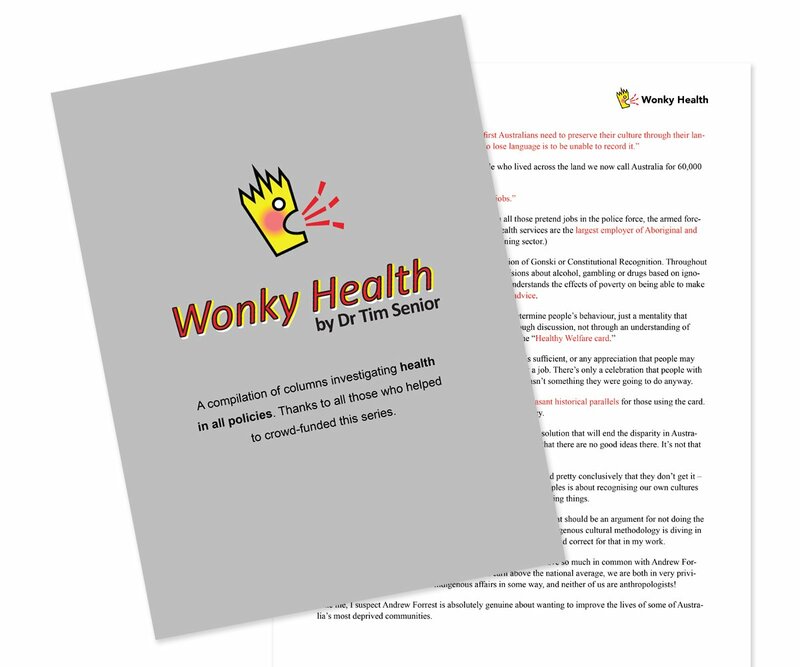 “These new arrangements will be voluntary for both patients and doctors and should encourage a more flexible and responsive approach to primary care, with the potential to reduce avoidable hospitalisation of patients. They will also help support older Australians to age in place. “We would also liked to have seen the new scheme cover children five and under as part of this new approach to funding general practice care. Busy families also need access to flexible and affordable contemporary primary health care. “We welcome the trial of a fresh approach to adult mental health with the development of eight walk-in centres to provide coordinated care and advice for people with concerns, to address what has been a gap in the health system. “We are also pleased to see the Government will move ahead with plans to develop a new website to help consumers learn more about the out of pocket costs they might face for specialist medical care. “The $7.2 million plan will include the publication of de-identified data showing the range of fees and out of pocket costs charged by specialists so that patients can identify typical specialist costs including when a course of treatment may involve more than once service, such as for breast cancer. “A nationally searchable website for individual specialists’ fees will initially focus on cancer, gynaecology and obstetrics, areas where major concerns have been raised about costs. “This Budget comprises a myriad of new funding measures for scores of different health initiatives in, pharmacy, medicines, hospitals, aged care and medical research. “These initiatives are welcome but make more conspicuous the absence of a national strategic plan to combat one of Australia’s biggest health problems, obesity. “Once again, a Federal Government has failed to devote any serious funding to a national population-wide public health scheme to encourage healthy diet and discourage promotion of unhealthy food to children. “Yet as was demonstrated with a comprehensive anti-tobacco campaign, the benefits of a concerted public health campaign can be substantial,” Ms Wells said. The RACGP will be advocating strongly for a significant investment in general practice in the coming Federal Election, because if something doesn’t change soon, I am fearful of patients’ ability to access care when they need, not when they can afford to. “Last nights’ Federal budget seemed to forget that as doctors we see daily the challenges to access adequate timely high quality health care for many of our patients”, said Dr Tim Woodruff, President, Doctors Reform Society. “The boast is that there are less people on welfare. Welfare recipients struggle with health issues. We already have the most highly targeted welfare scheme in the OECD. It punishes deserving people and adds to their poor health. We see patients struggling with welfare issues far too often, with poor co-ordination with support services. Unemployable patients are given an unemployment benefit 40% below the poverty line. Whilst it’s great that people are encouraged to work if they can, many of our patients struggle. Robo-debt strategies make them sicker. 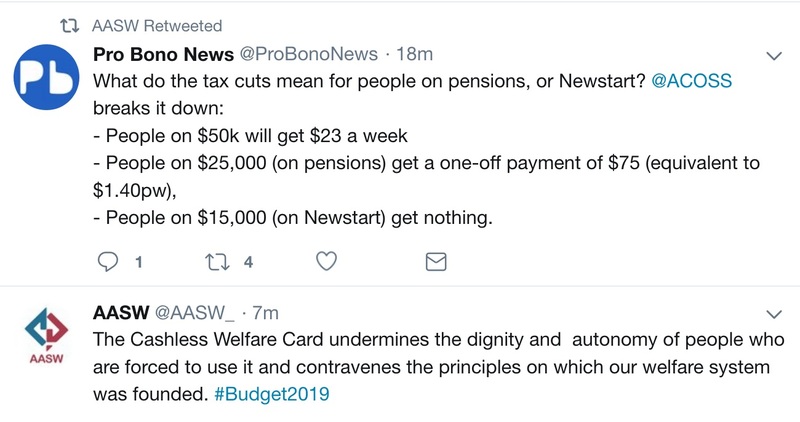 The budget indicates further savings via supposedly even more efficient systems and if past performance is an indicator, even harsher treatment of welfare recipients”. Australia’s peak psychology body has welcomed much needed investment in mental health programs to help ease the mental health crisis in Australia, as announced in the 2019 Federal Budget. The Australian Psychological Society (APS) welcomes the Federal Government’s commitment of additional funding for mental health, including the setting up of walk-in adult mental health treatment centres, greater investment in youth programs through Headspace, healthy workplace programs, eating disorder centres and perinatal mental health support. APS President Ros Knight said mental health issues in the community had reached crisis point in Australia. 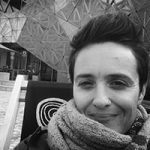 “One in five Australians experience a mental health disorder every year, and mental illness is the third highest cause of burden of disease in Australia,” she said. Ms Knight said the $114.5 million funding over five years for dedicated mental health treatment centres recognised the urgent need to better care for people experiencing mental health crisis however the investment could have been greater. Ms Knight said psychologists were also encouraged to see $63 million in funding for six residential eating disorder treatment centres. “This investment supports the Government’s proposed increased access to psychological services under Medicare for people with eating disorders,” said Ms Knight. Ms Knight also welcomed $15.2 million funding for the Mentally Healthy Workplace initiatives to provide Australian businesses with strategies to achieve a healthy workplace. Ms Knight said while the Budget has provided further initiatives for mental health there is still more that should be done. “We believe a greater investment could be made in the prevention of mental health disorders and greater access to services for children under 12 years, and we would like to see further investment in capacity building in the rural mental health workforce and mental health research,” she said. The 2019-20 Federal Budget contains mixed news for science, with a number of very welcome announcements along with some damaging cuts to research programs. Positive measures include $3.4 million new funding to support women in STEM, including the Science in Australia Gender Equity (SAGE) initiative led by the Australian Academy of Science and the Australian Academy of Technology and Engineering. Also included are a raft of initiatives through the Medical Research Future Fund, $25 million new funding for coastal, environment and climate research, $56 million for nuclear medicine and waste management, $5 million for a dark matter particle research facility, $15 million for expanded outreach and education activities through Questacon, and $19.5 million over four years to establish a Space Infrastructure Fund. Negatives include the abolition of the $3.9 billion Education Investment Fund which could have been used to support strategic research infrastructure; savings of almost $50 million from the entrepreneurship and industry research programs; and reductions in future allocations to university research, the CSIRO and Australia’s research grant programs totalling $389 million over four years. President of the Academy of Science, Professor John Shine AC, said that while the Academy applauded the range of new initiatives, it was hoped that there would be more focus on science and innovation in the budget given the Government’s emphasis on knowledge and skills. “It is counterintuitive to seek to produce a surplus by cutting the knowledge economy and by cutting funding to Australia’s key science and research agencies such as the CSIRO and the Australian Research Council,” Professor Shine said. “Given the Government’s focus on economic growth it is disappointing that some of the very welcome announcements in this budget went hand in hand with these damaging cuts to Australia’s research programs” Professor Shine said. $345 million to university research funding through the research support program. This is on top of numerous other cuts to university funding over the past several years. $51,000 over the forward estimates to Australia’s four Learned Academies, including the Australian Academy of Science, the Council of Learned Academies and the Australian and New Zealand Association for the Advancement of Science. $16.54M to the National Collaborative Research Infrastructure Scheme (NCRIS). $21.5M over the forward estimates to the CSIRO. After 28 years of economy growth — a remarkable run of national prosperity — some 739,000 children under 15 live in poverty. St Vincent’s Health Australia – Australia’s largest not-for-profit health and aged care service provider – has welcomed the Morrison Government’s funding initiatives across the portfolio but says more must be done to support Australians struggling with alcohol and other drug problems. “There’s much to welcome in the areas of health and aged care in this budget, but I’m concerned some of our most vulnerable citizens have been overlooked,” said Toby Hall, St Vincent’s Health Australia’s CEO. St Vincent’s Health will benefit from $30m in funding for the Aikenhead Centre for Medical Discovery, Australia’s first biomedical engineering research hub which will be built at St Vincent’s Hospital Melbourne. “The Aikenhead Centre will be unique in Australia and rare in the world. It will be Australia’s first biomedical engineering research hub integrated with a hospital – and that’s what it makes it different to anything else happening in our country. “By bringing scientists, engineers and students together with patients for the first time, Aikenhead will create collaborations to accelerate new discoveries in a way that is not currently available at any other clinical research campus in Australia. It will halve the time it takes to find breakthroughs and turn them into life-saving and life-changing treatments. “As a provider of mental health services at our public hospitals in Melbourne and Sydney, we welcome the Government’s focus in this area and we’ll watch with interest the trial of eight specialist mental health hospitals to help people when and where they need it. However, Mr Hall said he was disappointed at the budget’s lack of emphasis on one of Australia’s hidden crises: the half a million people who are unable to access alcohol and other drug treatment services. “Last week, St Vincent’s along with 20 other organisations called on the Federal Government to make a significant down-payment on adequately funding the nation’s alcohol and other drug treatment services in tonight’s budget. “While there is some new funding for alcohol and other drug services – for example in Northern Queensland – without a national, strategic plan for the alcohol and other drug sector, how do we know that money is going where the need is greatest? “Elsewhere the funding is about continuity of treatment services, but that’s not enough. We can’t just hold the line, we need to grow services to meet demand,” said Mr Hall. The clinical and research translation program, led by the Mindgardens Neuroscience Network (Mindgardens), will build new models of care to address the staggering burden of brain disorders in Australia. 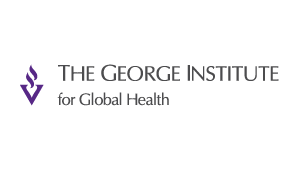 The disease burden associated with neurological, mental health and substance use disorders is in excess of $74 billion per annum and currently accounts for 20.5% of disability-adjusted life years, nearly twice the global figure of 11.1% illustrating the scale of the health care challenge. Between 2010 and 2017 substance misuse (drugs, alcohol) grew at 24.7%, followed by neurological disorders at 15.6% and mental health disorders by 8.6%. Funding for Mindgardens will support a series of pilot programs to develop new models of care to target the three principal areas of brain health: (1) Neurological conditions, including developmental disorders, stroke and dementia, (2) Mental Health and (3) Drug, alcohol and addiction disorders. 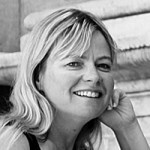 Mindgardens, based in Sydney, Australia aims to become the Australian Comprehensive Brain Disorder Centre for clinical care, research and innovation where pilot programs like Apex Clinics, Integrated Community Hubs and Preventative Technologies can be developed and then rolled out nationally to support all Australians living with a brain disorder. AIVL has welcomed additional investments in blood borne virus (BBV), sexually transmissible infection (STI) and alcohol and other drugs (AOD) initiatives flagged in tonight’s Federal Budget. Funding for implementation of the new National BBV and STI Strategies and investment in a new Whole-of-Government Drug Strategy package have been announced as part of the Health Budget. “The Australian Government has announced an additional $45.4 million over four years, commencing in 2019-20, to step up public health prevention and promotion activities around BBVs and STIs to deliver on the goals of the new National BBV and STI Strategies. The beneficiaries of this investment will be groups identified in the National BBV and STI Strategies, many of whom are particularly vulnerable members of the community,” said Melanie Walker, Chief Executive Officer (CEO) of AIVL. “There is also $189.1 million in additional funding over five years, commencing in 2018-19, for a new Whole-of-Government Drug Strategy package to build on existing services and support, including in rural, regional and remote areas. This initiative includes funding recently announced for a national take-home naloxone program,” said Ms Walker. National Ice Action Strategy ($153.3 million). “In summary, the Health Budget looks good on first glance. AIVL looks forward to seeing more detail on planned spending and initiatives and engaging with the Australian Government and the Department of Health to ensure that implementation of the newly announced measures meets the needs of affected communities,” said Ms Walker. The Society of Hospital Pharmacists of Australia (SHPA) has welcomed focus on embedded pharmacy positions in aged care, investment in equal access to new medicines and improvements to hospital infrastructure and services after the release of the 2019-20 Federal Budget tonight. SHPA Chief Executive Kristin Michaels says the adding of new cancer medicines to the Pharmaceutical Benefits Scheme and investment in clinical pharmacists in aged care are welcome aspects of the Budget, which was delivered by Federal Treasurer Josh Frydenberg in Canberra. ‘As outlined in SHPA’s 2018-19 Federal Budget submission, preliminary Australian evidence indicates a return on investment of $1.54 for every $1 spent embedding clinical pharmacists in aged care and we welcome the Federal Government’s allocation of $7.7 million in funding to help ensure greater access to their expertise regarding the use of medication, in particular inappropriate use of psychotropics and antibiotics. ‘Hospital pharmacists now facilitate more than 20 per cent of PBS expenditure and play a crucial role managing the introduction of cutting-edge medicines and the overall sustainability of this essential mechanism that improves equity of medicines access for all Australians. Ms Michaels says it is surprising, given the increasing importance of medicines to the health of Australians, to see signs of proposed changes to hospital pharmacy pricing arrangements. ‘We are concerned at the short timeline of 1 July 2019 for potential implementation of any new pricing approach. There are 250,000 medicine-related hospital admissions each year in Australia, at a cost of $1.4 billion to the health system. Ms Michaels welcomed the announcement of $107.8 million over seven years from 2018-19 to be invested into health infrastructure and services and $70.8 million for additional infrastructure and services to support the diagnosis, treatment and therapy for cancer patients. The country’s largest union, the Australian Nursing and Midwifery Federation (ANMF), described last night’s self-professed ‘back in black’ Budget, as a missed opportunity by the Morrision Government to provide safe, quality care for older Australians and fails to support the work of the nurses and carers who could make an actual difference. (See a more complete wrap of responses here). The National Aboriginal Community Controlled Health Organisation (NACCHO) said that funding for Aboriginal and Torres Strait Islander health was absent from Federal Budget. NACCHO stated that it was disappointed at the lack of funding allocated in the 2019-2020 federal budget for Aboriginal and Torres Strait Islander health services and the Aboriginal Community Controlled Health Sector. “We call on the all political parties to put Aboriginal and Torres Strait Islander health and full funding of the Aboriginal Community Controlled Health Sector at the heart of their election commitments. The National Congress of Australia’s First Peoples released the following statement titled Australia’s First Peoples Need More Than Promises. The National Congress of Australia’s First Peoples welcomes the Australian Government’s commitment of additional funding to address key challenges; however, the budget lacks concrete measures in areas of high importance for First Peoples. 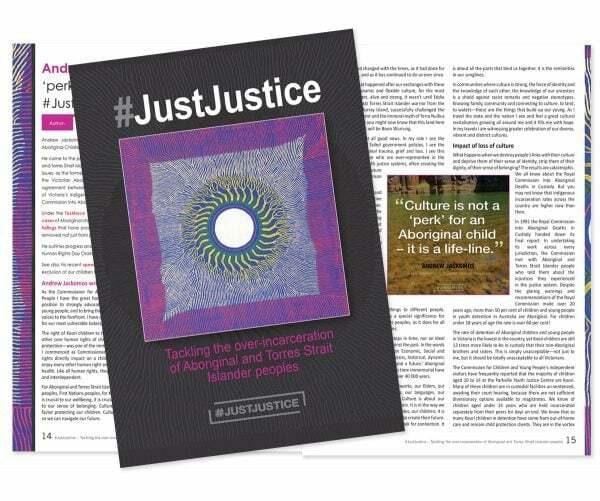 More needs to be done to remedy the structural causes of the gap between Aboriginal and Torres Strait Islander and non-Indigenous Australians. National Congress is pleased with the commitment of $453.1 Million to the National Partnership Agreement on Universal Access to Early Childhood Education, and $276.5 Million to the Indigenous Youth Education Package as part of the Closing the Gap Refresh. However, we are concerned that the budget documents are vague in terms of implementation. Simplistic measures such as school scholarships may be beneficial but are insufficient to overcome the structural challenges which Aboriginal and Torres Strait Islander children face at school including sharing our histories, languages and cultures. While we welcome the commitment of $35 Million to fund Aboriginal and Torres Strait Islander-specific solutions to family violence, this must be provided to community-based and controlled organisations to be effective. Over 50% of our peoples have a disability and funding of $528 Million for the Royal Commission into disability services is welcome, provided our needs are taken into account. Funding for the Lowitja Institute is welcome. While research is important, significantly more funding for services is required to address the disparities in health outcomes between Aboriginal and Torres Strait Islander and non-Indigenous communities. In addition, $5 Million over four years will be inadequate to remedy the incidence of youth suicide which afflict our communities. National Congress is concerned by the amalgamation of funding for Legal Aid Commissions, Community Legal Centres and Aboriginal and Torres Strait Islander Legal Services under one National Funding Mechanism. In the past, amalgamation of funding for Aboriginal and Torres Strait Islander services under the Indigenous Advancement Strategy failed to deliver positive outcomes to our communities. We are disappointed by the Australian Government’s continued rollout of cashless debit card trials. The $128.8 Million spent on the trials over the next four years would be better used to fund vital health, education and support services which enhance Aboriginal and Torres Strait Islander peoples’ self-determination instead of taking it away. No increase to Newstart means recipients will continue to bear the enormous financial and emotional stress of not knowing if they will have enough for the bare necessities each week. Planned tax cuts have little impact on the disproportionate number of Aboriginal and Torres Strait Islander people who are low income earners. There have been no changes to the Community Development Program; participants continue to work below minimum wage, and are in constant fear of being subject to harsh penalties for even minor breaches of program requirements. Money allocated under the Indigenous Advancement Strategy continues to be wasted on culturally inappropriate and ineffective services, while our organisations are forced to shut down due to lack of funding. Mr. Gary Oliver, CEO, National Congress said, “The Minister for Indigenous Affairs’ budget press release boasts that the Indigenous Advancement Strategy has doubled the rate at which Aboriginal and Torres Strait Islander organisations deliver services. More than anything else, this highlights the Australian Government’s total failure to understand what Aboriginal and Torres Strait Islander peoples, organisations and communities require. I am especially pleased to see commitments to a National Suicide Information System. This is something that CBPATSISP and, prior to that, the Aboriginal and Torres Strait Islander Suicide Prevention Evaluation Project (ATSISPEP)called for. But it must operate in our communities and it’s not clear on the information provided whether it will. This is critical, such a system should help us get the people and resources to where they are needed faster, to help prevent suicide ‘clusters’, and better assist Indigenous families and communities after a suicide. 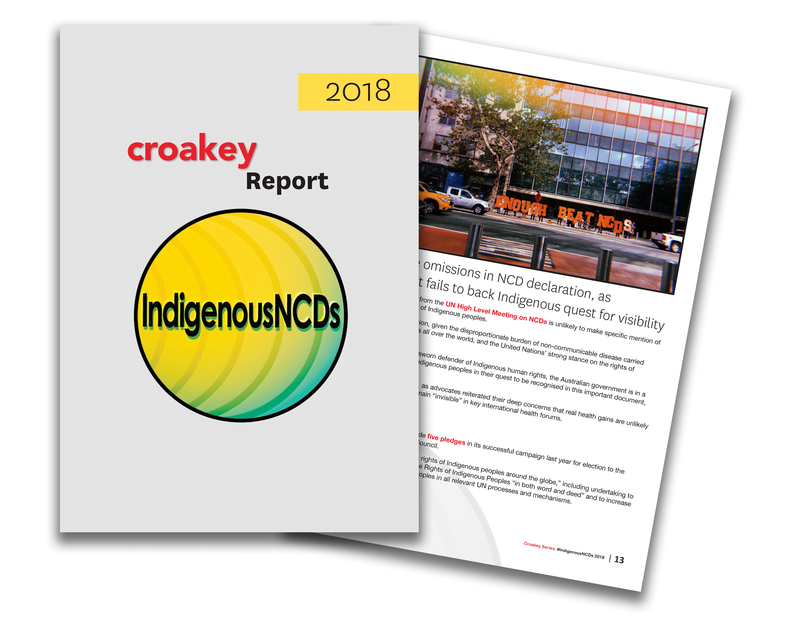 A national Indigenous suicide prevention strategy was developed in 2013 and about $20 million implementation funding given to the Primary Health Networks (PHNs). While many PHNs are doing the best they can, the key ingredient – Indigenous governance and leadership in how that money is spent – has too often been lacking. It is my hope that the new Indigenous leadership group will not only lead a more effective and efficient national and regional response to Indigenous suicide, but also address these accountability problems. But again, we need more information about how these bodies will operate, and the leaders must be Indigenous and enjoy wide community support. $15 million Indigenous specific funding in a $461 million youth mental health and suicide prevention package, within a $736 mental health package, is not enough to meet our needs. Indigenous people comprise 3% of the population and have about double the suicide prevention needs, and three times the mental health needs, of other Australians. In terms of equity, we estimate about 9% of the total package, about $70 million, should be dedicated Indigenous expenditure. While this may seem a significant amount, it should not be forgotten that the bulk of Indigenous mental ill-health is preventable with access to primary mental health care, and yet the social costs of untreated Indigenous mental health difficulties are likely to run into the billions. In fact, a long called for reinvestment funding approach to our mental health, particularly justice reinvestment, should eventually enable the Australian Government to make savings in many areas as well as making a big contribution to ‘Closing the Gap’ and Indigenous wellbeing. This is particularly in relation to the enormous cost of imprisoning over 13,000 Indigenous people, many of whom are in prison because of untreated mental health and related issues. We will be working with other Indigenous mental health and suicide prevention leaders to ensure our people, and young people in particular, benefit from all the budget measures according to their greater need. This includes the extra funding for headspace, the adult mental health centres and many other promising mainstream initiatives. CBPATSISP and NATSILMH want to see a partnership approach with the Australian Government to help ensure we get the detail right, and that the total $736 million package results in better mental health and suicide prevention outcomes for Indigenous Australians. “With the release of the updated National Palliative Care Strategy in February this year, all Australian governments made a commitment to ensure that evidence-based, quality palliative care is available to everyone who requires it. “While the Budget delivered last night falls short on new funding for palliative care, PCA looks forward to working with whoever forms the next government to make sure there is funding to improve access to palliative care. “Without a significant investment of funding and new models of care, under-served populations such as rural and remote Australians, Aboriginal and Torres Strait Islander People, culturally and linguistically diverse groups and people living with dementia or a disability will continue to miss out on the benefits of palliative care. “PCA’s vision to enable access to quality palliative care for all Australians who require it by 2030, is a good foundation for systematic, workforce and funding reforms and we encourage those involved in implementing a number of the Budget measures to consider how they could help us achieve this vision. “We also look forward to seeing the results of the funded trial to embed a pharmacist in residential aged care facilities. This is an important opportunity to consider the quality use of, and access to medicines required for adequate pain and symptom management if and when required at the end of life, which is an ongoing concern for PCA. 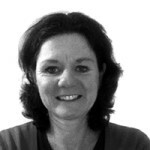 “The investment in medical research into ageing and unmet needs is also welcome. This should include a focus on palliative care research, which is needed now to prepare for our ageing population and to ensure that we are providing the best possible care to all people living with a life limiting condition. 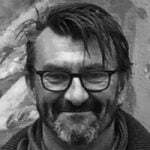 “The clear focus in this Budget on investing in processes that support quality and safety for those accessing aged care services is important, however palliative care remains absent from the new Aged Care Quality Standards which we’d like to see included,” said Mr Greenland.